Numbered, Limited Edition of Only 5,000 Copies! 180g LP Box Set, Housed in a Slipcase with a Gold Foil Stamp of the Band’s Logo! Includes Hotel California - Ranked Among the 10 Best-Selling Albums Ever! Over 4 Hours of Music! Rolling Stone 100 Greatest Artists - Rated 75/100! With five number one singles, fourteen Top 40 hits, and four number one albums, the Eagles were among the most successful recording artists of the 1970s. At the end of the 20th century, two of those albums -- Their Greatest Hits (1971-1975) and Hotel California -- ranked among the ten best-selling albums ever. Though most of its members came from outside California, the group was closely identified with a country- and folk-tinged sound that initially found favor in Los Angeles during the late '60s, as championed by such bands as the Flying Burrito Brothers and Poco (both of which contributed members to the Eagles). But the band also drew upon traditional rock & roll styles and, in their later work, helped define the broadly popular rock sound that became known as classic rock. 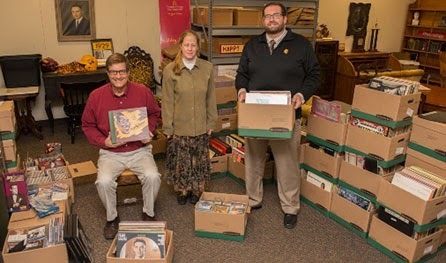 As a result, the Eagles achieved a perennial appeal among generations of music fans who continued to buy their records many years after they had split up, which helped inspire the Eagles' reunion in the mid-'90s. The Eagles' fourth album, One of These Nights, was an out-of-the-box smash. Released in June 1975, it went gold the same month and hit number one in July. Moreover, it contains the chart-topping title song, "Lyin' Eyes," and "Take It to the Limit." "Lyin' Eyes" won the 1975 Grammy Award for Best Pop Vocal Performance by a Duo, Group, or Chorus, and the Eagles also earned Grammy nominations for Album of the Year (One of These Nights) and Record of the Year ("Lyin' Eyes"). The group went on a headlining world tour, beginning with the U.S. and expanding into Europe. But on December 20, 1975, it was announced that Bernie Leadon had quit the band, and Joe Walsh (born in Wichita, KS, on November 20, 1947) was brought in as his replacement. He immediately joined the tour, which continued to the Far East in early 1976. It took the Eagles 18 months to follow One of These Nights with their fifth album, Hotel California. Released in December 1976, the record was certified platinum in one week, hit number one in January 1977, and eventually sold over 10,000,000 copies. The singles "New Kid in Town" and "Hotel California" hit number one, and "Life in the Fast Lane" made the Top 20. Meanwhile, "Hotel California" won the 1977 Grammy for Record of the Year and was nominated for Song of the Year; the album itself was nominated for Album of the Year and for Best Pop Vocal Performance by a Duo, Group, or Chorus. The Eagles embarked on a world tour in March 1977 that began with a month in the U.S., followed by a month in Europe and the Far East, then returned to the U.S. in May for stadium dates. At the end of the tour in September, Randy Meisner left the band; he was replaced by Timothy B. Schmit (born in Sacramento, CA, November 20, 1947), formerly of Poco, in which he also had replaced Meisner. The Eagles began working on a new album in March 1978 and took nearly a year and a half to complete it. The Long Run was released in September 1979. It hit number one and was certified platinum after four months, eventually earning multi-platinum certifications. "Heartache Tonight," its lead-off single, hit number one, and "I Can't Tell You Why" and "The Long Run" became Top Ten hits. "Heartache Tonight" won the 1979 Grammy for Best Rock Performance by a Duo or Group with Vocal. There's no denying the Eagles helped define the 1970s with insanely catchy tracks like "Hotel California," "Life In The Fast Lane," and "Take It To The Limit." Get back that peaceful, easy Southern California feeling with their 6-LP set, THE COMPLETE STUDIO ALBUMS, featuring EAGLES, DESPERADO, ON THE BORDER, ONE OF THESE NIGHTS, HOTEL CALIFORNIA, and THE LONG RUN. 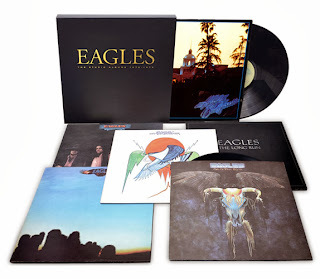 The Self-Titled "Eagles" Album will include the Original Fold-Out Gatefold Design. "Hotel California" will include the poster that was included in the original release as a washed out black and white, but will now be in full vibrant color as the photographer intended! • Limited to ONLY 5000 Numbered Copies! 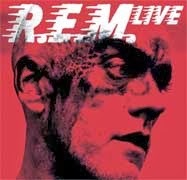 The fourteenth album from modern rock's most acclaimed band - a 2007 inductee into the Rock and Roll Hall of Fame - is R.E.M. 's first live album. 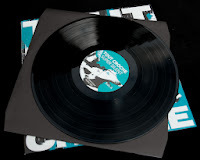 Presented here on three vinyl LPs are performances in February 2005 at The Point indoor venue in Dublin, Ireland, a city that has become a second home to the band. With a set list which spans the band's entire career, R.E.M. Live offers the "greatest hits" on stage. • Bonus DVD Video of the entire album - all 22 songs! 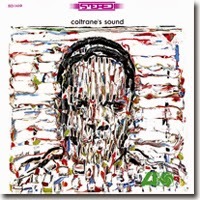 Although the tracks for "Coltrane's Sound" were recorded in 1960, the album was not actually released until 1964. Since the selections here came from the same series of sessions as "My Favorite Things" and "Coltrane Plays the Blues", it features the quartet including Elvin Jones, McCoy Tyner and Steve Davis. 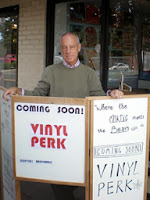 We are a small, family owned company established in 1989 located in Anderson Indiana. 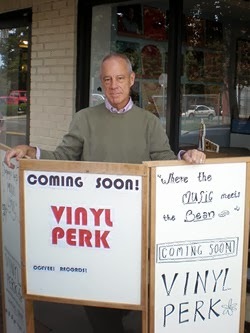 When we first began, we basically specialized in out of print, hard to find (elusive) vinyl. Over the years, we have expanded to also include Audiophile CDs, XRCDs, DVDs, SACDs, In-Print Vinyl, Gear and Accessories. 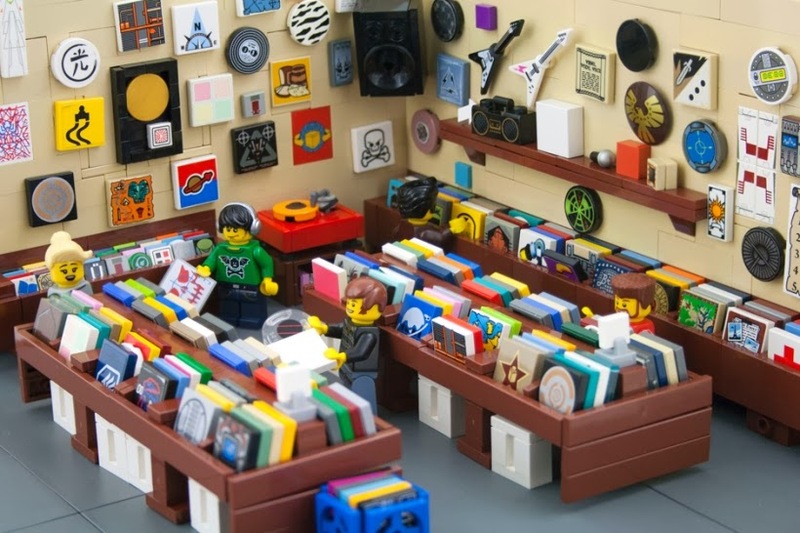 We continue to grow on a daily basis, adding the newest and most exciting music and Hi-Fi. 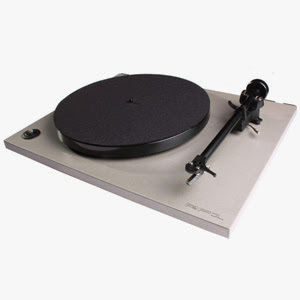 We look forward to being your best Audiophile source for years to come. Super Silent is the debut album from Tout Croche. Known for their loud and noisy live improvs, the duo has released this recording in collaboration with The Silent Howl label. 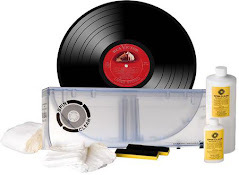 The result is an 8 track LP collection of a series of eclectic pieces ranging from chanson française to power electronics, including a remarkable interpretation of Neil Young's Hey Hey, My My (Into the Black) in which the song is transformed into a dark, slow and heavy rock 'n' roll monster. With the track Dead or Fade Away, the duo mix punk anger with drum and bass rhythms in an energised frenzy that takes noise to a new level whilst The Silent Howl ventures into Hecker-esque ambient soundscapes . 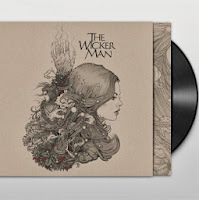 Taken as a whole, the work is reminiscent of the playful sonic explorations of the legendary German band Faust, incorporating a musique concrète vocabulary and a noise/rock aesthetic that is provided by their gutsy improvisation. Guest appearances from Nicolas Bernier and Rodrigo Constanzo increases the scale and sonic openess of the project. The release is available as a limited edition 180g vinyl and as a digital download. Hear it and purchase it on The Silent Howl Bandcamp! Tout Croche is Stephen Harvey and Dominic Thibault making electronic music. A haven of post-genre sonic experimentation, music making that marvels at noise from beautiful ambience to digital distortion. Coming from different musical backgrounds, they found commonality in improvisation and noise. Since October 2011, the duo have been actively developing a live set-up around the use and mis-use of the electric guitar and a rack of digital FXs routed together to create surprising sonic textures. Tout Croche enjoy playing live where their energy and intensity can be perceived by the audience. 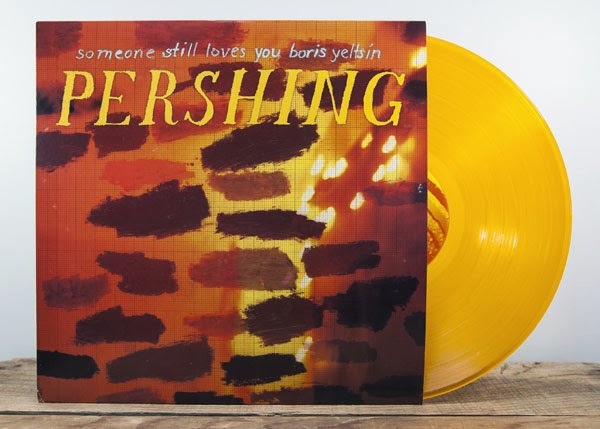 'Pershing,' the sophomore release from Someone Still Loves You Boris Yeltsin, has gone gold! Clear Gold that is. While 'Broom' introduced SSLYBY as a promising young act on the rise, 'Pershing' acts as its mission statement, finding the band working out its adventurous streak by way of quirky chord changes amid massive hooks and addictive melodies. Now available on 180-gram Clear Gold vinyl, Pershing features fan favorites such as "Modern Mystery" and "Think I Wanna Die" along with an 11" x 17" poster. Before Dexter Gordon became more known as a mainstream tenor saxophonist with a strong blues influence, as well as a master balladeer; in the early ’50s he held his own with beboppers like Wardell Gray in bop sax duels. This session has been re-released by the English audiophile LP label, PurePleasure, and remastered by Ray Staff at Air Mastering in London. It has also been put out on CD by Verse Records (not to be mistaken for Verve Records). Other highlights can be found on “Number Four” and “You Can Depend on Me,” with the former a medium tempo tune, and the latter having a little more heat. Both show Dex fully in command and a true master of the tenor, which he would continue to demonstrate for another three decades. The time given to Kenny Drew for some extended solos is a nice bonus on this LP. The remastering is first rate as each musician is warmly presented in the sound mix.